Each year Pantone chooses a colour they deem to be the colour of the following year. This year it was Tangerine Tango (which I blogged about HERE). For 2013 they have declared Emerald as THE colour. In case you're wondering how they choose the colour of the year, according to wiki the company hosts a secret meeting of representatives from various nations' colour standards groups and after two days of presentations and debate they make their decision. Sounds very Da Vinci Code to me! 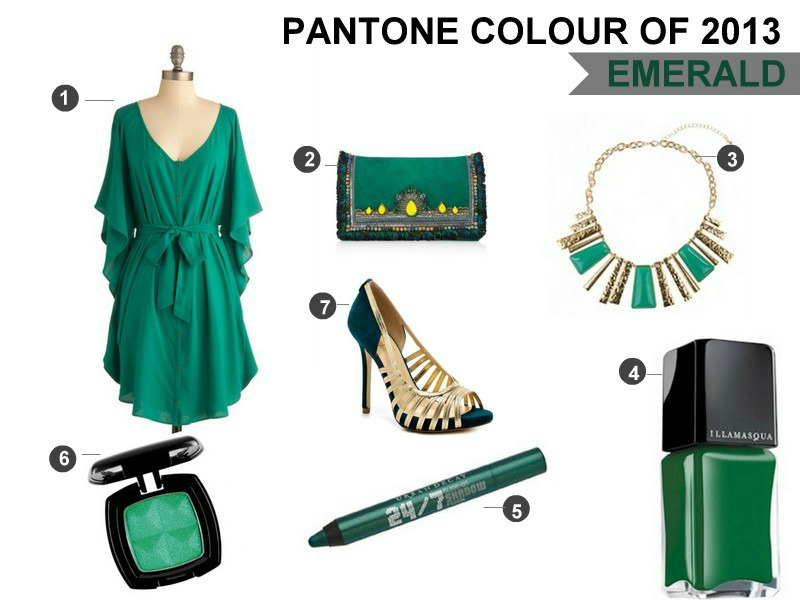 This is what they said about Emerald, the chosen colour of 2013. "Most often associated with brilliant, precious gemstones, the perception of Emerald is sophisticated and luxurious. Since antiquity, this luminous, magnificent hue has been the color of beauty and new life in many cultures and religions. It’s also the color of growth, renewal and prosperity – no other color conveys regeneration more than green. For centuries, many countries have chosen green to represent healing and unity. Personally I'm a huge fan of emerald green. It looks good on blondes, brunettes and especially redheads. It's such a striking colour yet also easy on the eye. So expect to see lots and lots of green hitting the stores next year, whether in clothes, makeup or accessories. This makes me happy. Here are some emerald green options to tickle your fancy. 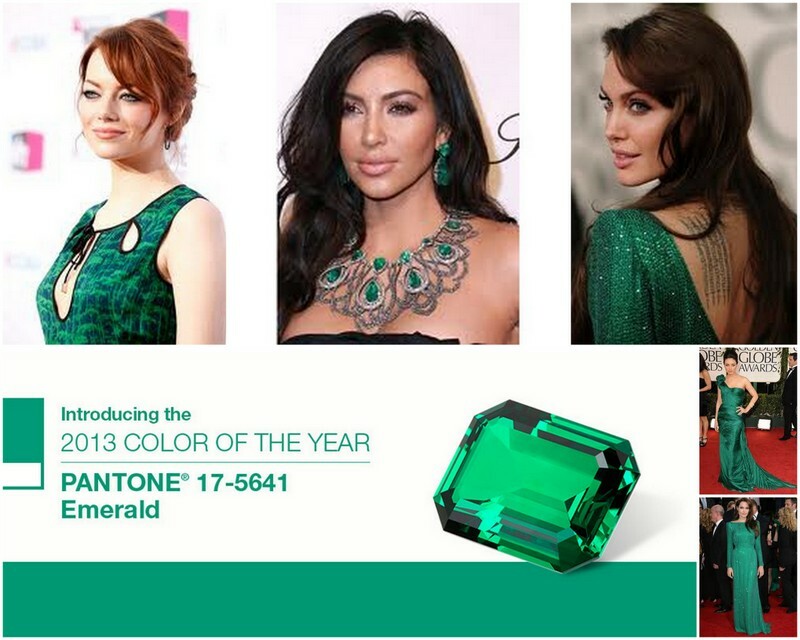 What do you think of Emerald as the colour of the year? I love it! Green suits my skintone much better than orange. While I loved this year's Tangerine Tango colour I found it a bit hard to pull off. Help me decide: fringe or no fringe?